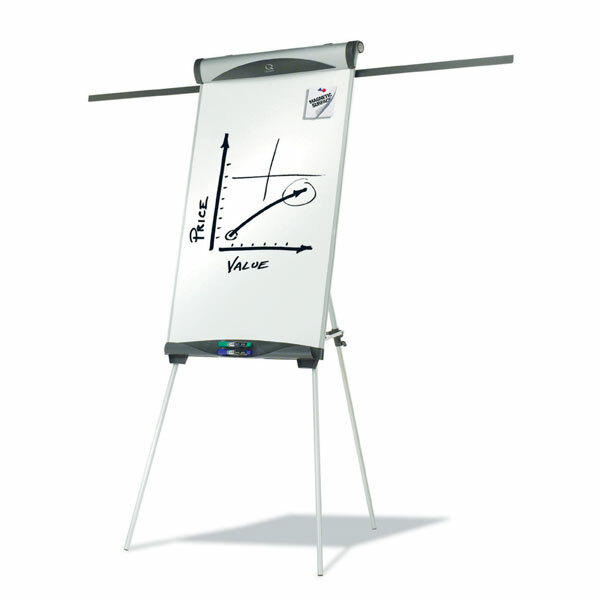 The dual purpose Quartet Euro presentation easel features a smooth magnetic whiteboard writing surface and flipchart holder, perfect for a range of working environments. � Displays 3 sheets of standard paper simultaneously. � Features extendable and retractable arms. � Set up and take down is easy. 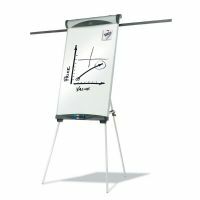 � Suitable for light on-the-go use with a board size 685x990mm. � Silver Euro design tripod easel base has telescoping legs. � Stands 1870mm tall when fully extended. � Premium whiteboard writing surface. � Doubles as a magnetic bulletin board. � Easel height is adjustable for both tabletop or standing use. � Includes hooks, clamp and built in storage space for markers.